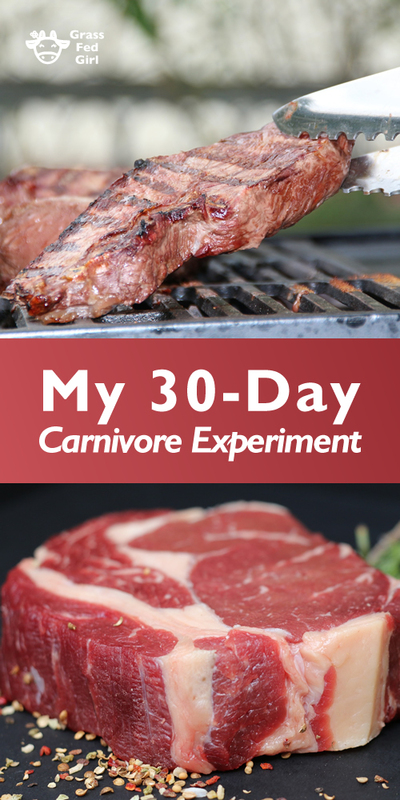 Why try a 30 day Carnivore Keto diet plan? 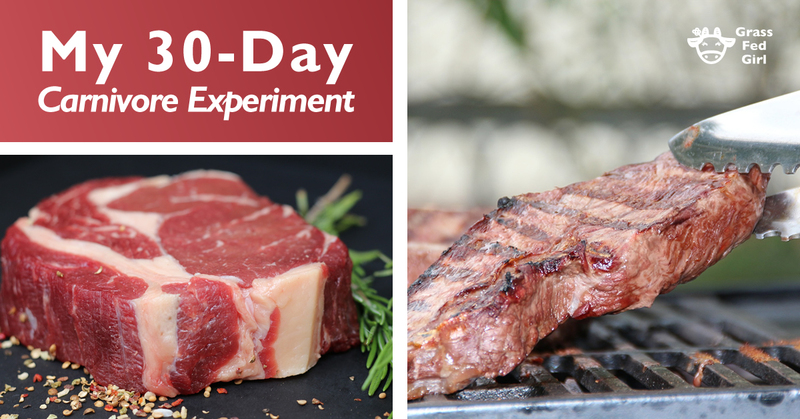 Today marks 30 days I have been trying a Carnivore Keto Diet experiment, I wanted to try this because several people in my life had great success with it. My sister, Ellen is Hangry lost 20 lbs doing it after her baby was born in April 2018. 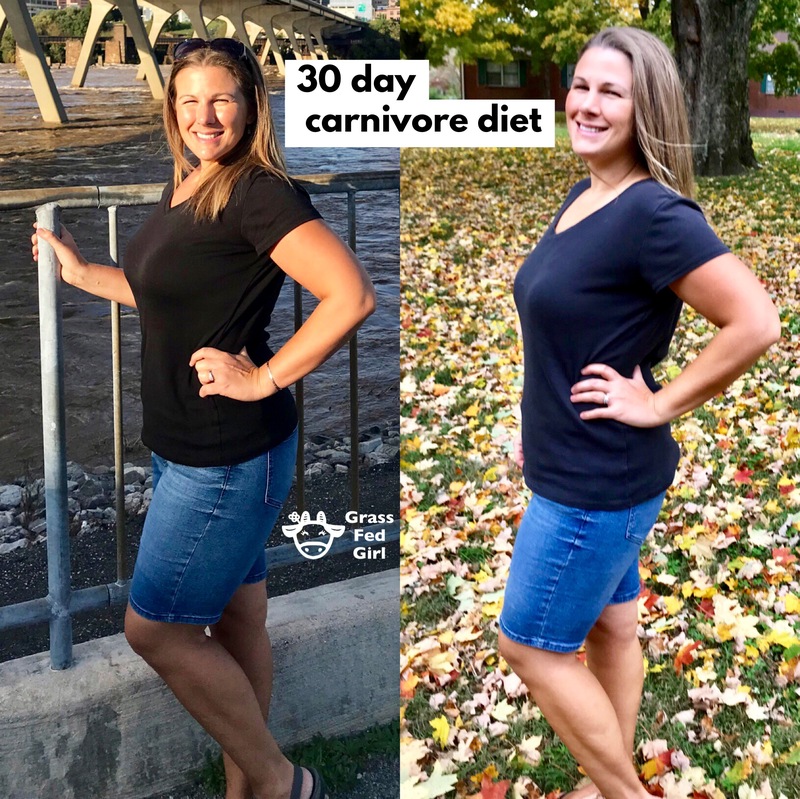 She was having digestive distress every time she ate vegetables so that was even more motivation to try a carnivore keto diet. I talked to my health coach, my trusted nutrition advisor and she recommended this Carnivore Keto Diet to me over and over for my digestion and thyroid autoimmune symptoms. To say I was excited about trying a carnivore keto diet would be lying, I have been putting off starting since May or June because I was afraid of the monotony and that it may exacerbate some of my food demons from my years of yo-yo starvation dieting. this summer I was traveling a lot and I didn’t think I would focus on it until I was home for a while. I have done many elimination diets in the past including AIP but Keto carnivore diet way of eating showed me the most notable changes in a short time. Following a gluten free, paleo, then keto diets for nearly 10 years, I still have some challenges with my health. Every step of my health journey since I was diagnosed with Hashimotos, an autoimmune thyroid disease, back in 2009 has helped my healing but I still have some issues such as slow digestion, weight gain, and fatigue. I have taken thyroid medication starting in 2010, including Armor, Naturethroid and now I take NP thyroid by Acella 120 mg. I was hoping this plan would help reduce my thyroid antibodies from 100 to under 30 which some doctors count as remission. When I was diagnosed I had over 600 for my TPO antibodies so I have already seen a lot of improvement. 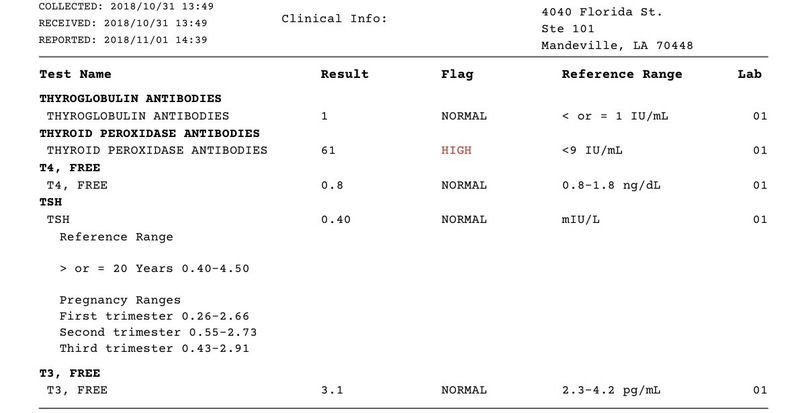 I don’t usually register TBG antibodies unless I take a lot of iodine, so I avoid that. My diet consisted of fatty cuts of organic or grass fed meat (order here) such as ground beef, chicken wings and some wild seafood. I ate eggs for the first 15 days then decided to eliminate those also for a time to see if that was a sensitivity for me. Butter was used to cook my meat but I only had 3-4 slices of cheese, at a restaurant on a hamburger patty. Cheese is a food I thought I would over-do as well as heavy cream, so I avoided them. I used to drink heavy cream all day in my coffee so I knew the calories really added up.Cheese is something that I can stand in front of the fridge and eat while I figure out what to eat, not good. I drank black decaf coffee and unsweetened tea sometimes. I drink a lot of Lacroix and Spindrift seltzer water. Also I drank bone broth daily that I made in my instant pot (order here) with 1/2 teaspoon sea salt to balance my electrolytes. I used this salt often because it has the right balance of potassium and magnesium, but I prefer the taste of this salt so I used it on my food. I ate some spices but not excessively, mostly salt and pepper. It is important to use salt plentifully on your food especially during your adjustment phase or you may feel light headed or weak. Spicy brown mustard is a must for burgers from time to time. I had avocado mayonnaise a few times at the beginning of the month but cut it out with my egg elimination. It is important to eliminate nightshades if you have a lot of autoimmune symptoms but I wasn’t super strict about that this time as I have not reacted to nightshades in the past. I tried to use animal based fats preferably but if I used a little olive oil and or coconut oil I didn’t freak out. Mostly I used grass fed butter. Beef tallow is also a very healthy and versatile fat order here. Eating in restaurants: I ate fatty brisket a few times at our favorite place, Martin’s barbecue. They also have dry rub wings that are to die for. I just avoided the slaw but I was so full from the meat, it didn’t bother me. My friends who had done a carnivore diet in the past, told me to not worry about counting calories or restricting my portions but to focus on eating to satiety. I concentrated on eating until I was full but not overeating. 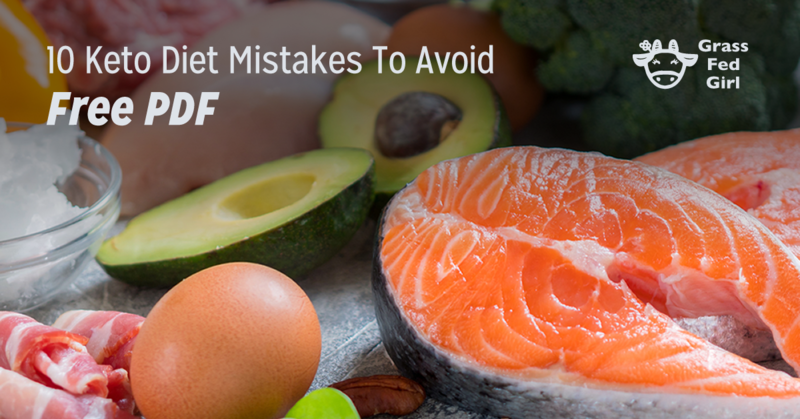 Protein is so filling it is hard to overeat especially when focusing on fatty meats. The combo of fat and protein are the most satisfying foods on earth. I felt like tracking anymore factors would just give me anxiety after all I was already giving up (vegetables, stevia, chocolate, berries). I measured my blood ketones several times and they were very low .4 mmol/L but I felt like I was in ketosis because I have felt the feeling many times before. Optimal numbers of ketones are 1.6- are 3.0 mmol/L. The beginning of ketosis is considered .5mmol/L. Blood sugar in the morning and it was 88 usually which is a little higher than usual. I am not sure why but pre-diabetes is usually considered above 100, so I am still in a good range. I would often get a lower number an hour or so after I would eat a fatty meat meal. This is the meter I use for both blood and ketone testing (order here). I was working out with weights a lot prior to starting my carnivore plan but I stopped when going through the adaptation phase. If you don’t know my story, I was a trainer for many years and I love weight training and used to also run marathons before I got sick. On this plan, I decided to just let myself workout if I felt like it and I have not yet been so inclined. I do walk about 4 miles a day, because I like to stay active. Maybe working out is something I will add in my second month if I continue. It is hard to stick with elimination diets especially when you don’t see any noticeable changes but this time I lost 12-15 lbs in 30 days.Weight loss has been a huge challenge for me and I gained 20-30 lbs when I got sick with thyroid disease and nothing else has really worked for weight loss even though I have tried keto and paleo and even AIP. I was sleeping better, waking up earlier but more energy throughout the day. I sleep really soundly and fall asleep faster. Normally I want a nap but on this plan I didn’t even think of napping, so I was less tired overall. Congestion in my nose was better so I was breathing through my nose while sleeping. This was the first time I have stopped eating stevia sweetened drinks or dark chocolate for 30 days and it was amazing how fast my sugar cravings dissipated. I didn’t have kombucha at all which is another favorite and it wasn’t hard to say no to that either. The best part is I was never hungry on carnivore and completely satisfied, even more so than with a keto diet. Also I noticed how often I thought about food just as a comfort not from true hunger because I was looking to soothe myself. At times when I thought about what to eat, I didn’t want anything because I wasn’t actually hungry, once I realized meat was the only option. It gave me a lot of clarity that I used food as entertainment not just for fuel. I have done keto off and on for 9 years and I usually don’t have any symptoms but this time was a much harder transition. I had to drink a lot of salt, 2-3 times a day, I chose to put it in homemade bone broth but other people make electrolyte drinks. Order bone broth here. I didn’t see a lot of improvement here but I was way less bloated. I was using magnesium oil (order here) on my skin and that did help a lot to improve motility but I had to use daily. Natural calm (order here) did not seem to work the way it usually does. I saw some changes in the color of my stool at first while my microbiome was probably freaking out. I was told to expect less volume of poop overall because of not eating fruits and vegetables and the body is so efficient at breaking down meat. Someone may need to change their expectation of daily elimination. I am hoping that over time this factor will improve as well. TPO is a marker that measures the amount of antibodies your body has against its own thyroid tissue. A high number means a lot of inflammation or attack is underway. This marker is usually 100, for me for the past 8 years. It was 600 before gluten free diet and being on medication. I first was diagnosed with Hashimotos in 2009 or 2010. TGB is not a marker I have had trouble with unless I take iodine but I just get iodine from food. TSH is optimal about 1.0 according to functional medicine doctors. Free T-3 is the active form that makes you feel energetic and if it is low it could be a conversion problem. If the free T-4 is a storage form of thyroid hormone that needs to be converted to be usable and if low it can mean your thyroid is still underactive or hypo. 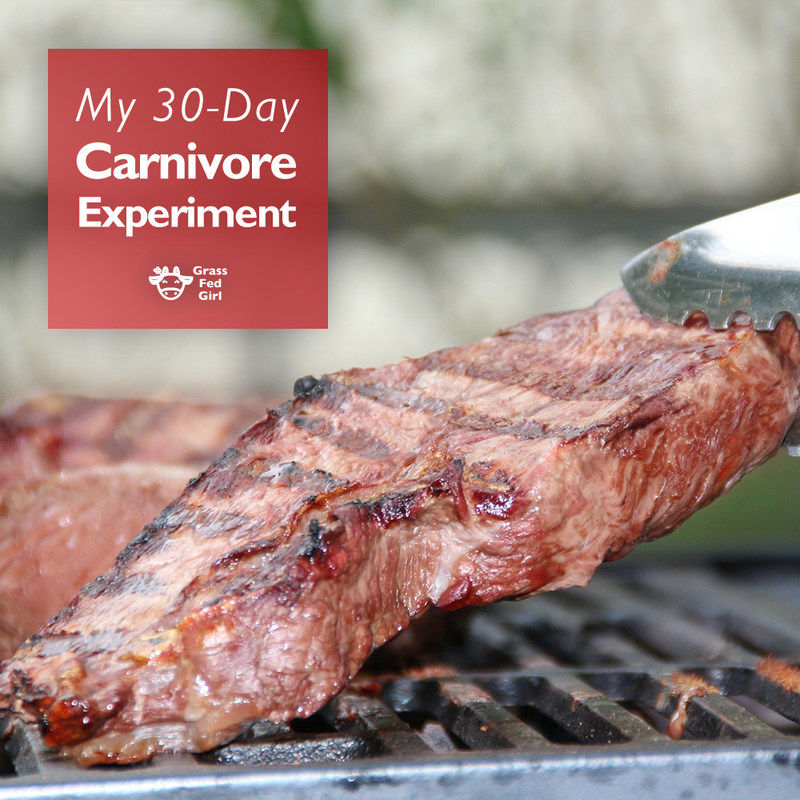 I wanted to test my thyroid to see how it was responding after 30 days of carnivore. I should note that it was the first test where I was taking a different thyroid medication so that could have been a factor as well (NP thyroid by Acella 120 mg). Common question: Are you concerned about vitamin deficiency? The vitamins that are recommended are based on a standard American diet which depletes things like vitamin C and magnesium. When we are not eating carbs we don’t need as much of those nutrients. I am taking a good multivitamin (order here) just to be on the safe side but I am not overly worried since I don’t plan to do this long term. Also liver and shellfish have trace amounts of Vitamin C.
Will I continue with carnivore? I would like to continue with carnivore keto diet plan because I am feeling really good. I would love to lose another 10-15 lbs and this is effortless because I never hungry. I am slowly seeing changes in my digestion so maybe that will keep improving. I took this photo with the same outfit. The shirt is much bigger on the right and you can see more definition in my face. The shorts are much looser. I lost about 10-12 lbs during this program. The photo on the left was Sept 30, 2018 and the one on the right was Oct 30, 2018. I would like to keep going and based on my thyroid results, it seems like carnivore is agreeing with my body. 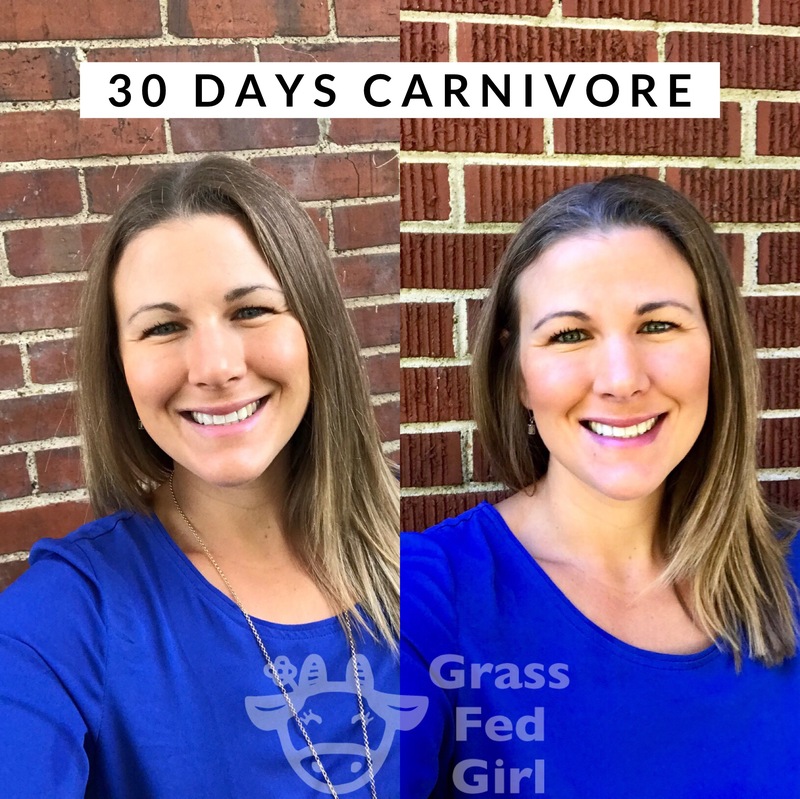 If you try a Carnivore Keto Diet shoot me a message or tag me on Instagram @grassfedgirl with your results. If you want more info on Carnivore let me know! Leave a comment about your keto or carnivore diet results!